Hair Club, North America’s largest provider of all proven hair restoration solutions, today announces the grand opening of its newest hair restoration center, Hair Club Oxnard. Since its founding over three and a half decades ago, Hair Club has provided hair loss treatments to more than 500,000 clients and currently has over 100 locations throughout North America. One of 12 California locations, Hair Club Oxnard is a convenient option for members and potential new clients who now currently travel to this area. Hair Club Oxnard, located in Suite 510 of 300 E. Esplanade Drive, first opened its doors for business on November 3, 2015. “Hair Club is pleased to announce the grand opening of our newest Center in Oxnard, California. 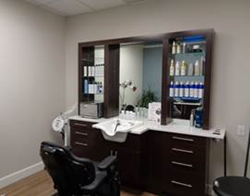 Nestled between Santa Barbara and the Malibu coast, Oxnard will provide another perfectly convenient location to take care of all our members’ hair loss needs,” states Grant Wegner, Hair Club Regional Vice President. For more information on Hair Club Oxnard including services offered, directions and public transportation information, visit http://www.hairclub.com/locations/centers/oxnard. Hair Club offers solutions for hair loss in women and men including non-surgical hair replacement and hair restoration surgery. All solutions have been proven effective and are backed with extensive scientific research and cutting-edge technology. Hair Club has granted more than 500,000 men and women, an experience that truly changed their lives. Today, Hair Club has over 100 locations throughout the United States, Canada, and Puerto Rico and is a wholly owned subsidiary of Tokyo-based Aderans Co. Ltd, the world’s leading provider of total hair loss solutions. Aderans brands in the U.S. include Bosley.